The firm foam takes some getting used to, but there's a lot to love about this highly adjustable fabric chair. 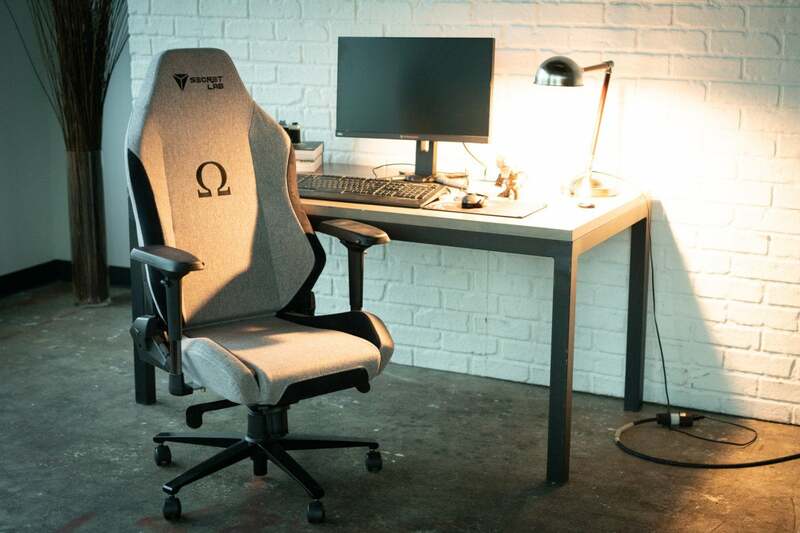 The Secretlab Omega Softweave gaming chair challenges the assumption that gaming chairs should be made from fake leather. Sure, leather simply looks cool, but as a gamer myself, I’ve long suspected there are more cynical reasons in play. The same stereotypes that assume we crave neon accents and flashy fonts also assume we spend our days dribbling Mountain Dew and Cheeto dust between our legs. If you buy into all of that, you’ll likely believe we’ll find fake leather more tolerant of munchie mishaps. 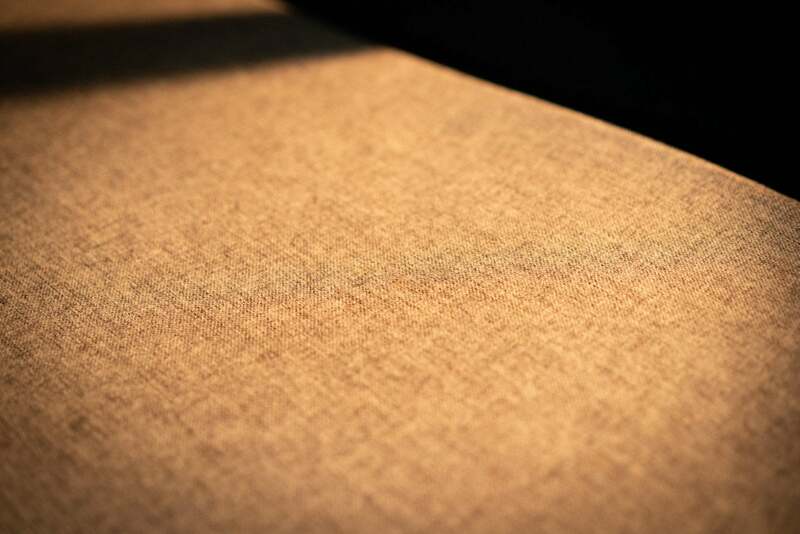 And so I admire the optimism and honor behind The Secretlab Omega Softweave. In its embrace of fabric, it implies its owner isn’t prone to filth. Indeed, as if to tempt fate, Secretlab sent us not the darker charcoal model but the alternate, grayish “Cookies & Cream” color, which looks, well, particularly susceptible to stains from cookies and cream. More on that later. 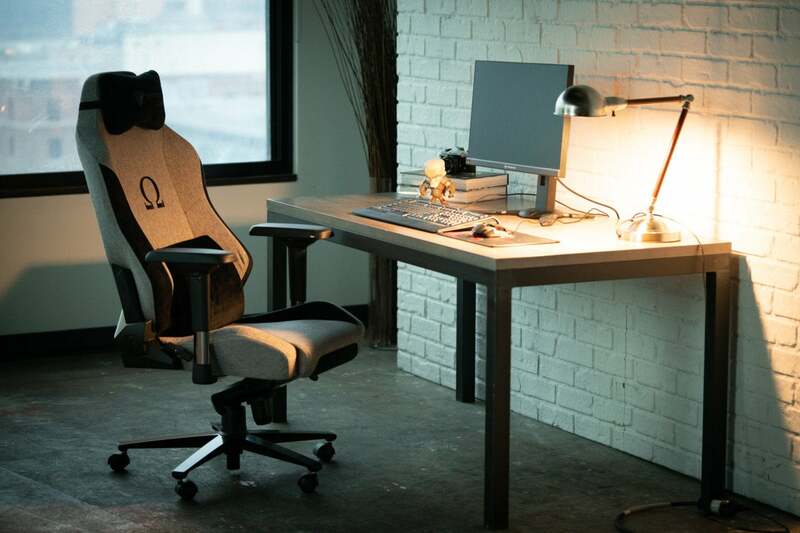 Aside from the fabric, you’ll recognize the design similarity to the popular PU leather Omega chair Secretlab released last year. A bit counterintuitively, the switch to fabric boosts the price by $20 to $350. It’s impressive stuff: The fabric itself is both tough and soft at 350 grams per square meter—roughly the same as the average sweatshirt. I admire the way it barely makes a sound when I shift in my seat. It’s a good chair in general, at least if you don’t mind flashy logos and questionable cushions. For the past few weeks I’ve been using it for everything from gaming to research, and I’ve largely come to appreciate how it can justify so high a price. I didn’t come to that appreciation lightly. When you’re used to sitting in traditional chairs, a gaming chair initially feels about as comfy as a mossy rock. 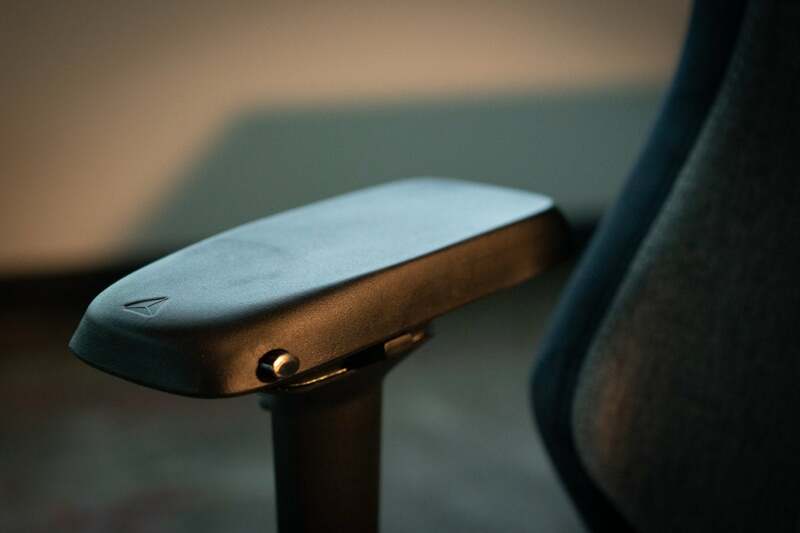 Brands differ, of course, but they’re generally firm in their conviction that gaming chairs should be firm. Eight different people besides me sat in this particular chair, and each one took no more than 20 seconds before exclaiming “It’s harder than I imagined” or something that effect. Sure, the high-density foam gives a little when you press into the fabric, but only about as much as a thumb pressing into a palm. And yet it eventually grew on me. That firmness keeps me alert, I’ve found, and it helps keep my posture decent when I’m glued to Overwatch for hours or deep in rough drafts. It feels like it means business. Thanks in part to this model’s soft short-yarn fabric, it keeps me comfortable without distracting me with excessive comfort. I imagine I good throne feels something like this. When I briefly switched back to my plushy $695 Steelcase Amia chair after a week with the Omega, I felt positively decadent. Like me, you may grow to like the stiffness (and I believe Secretlab intends that). 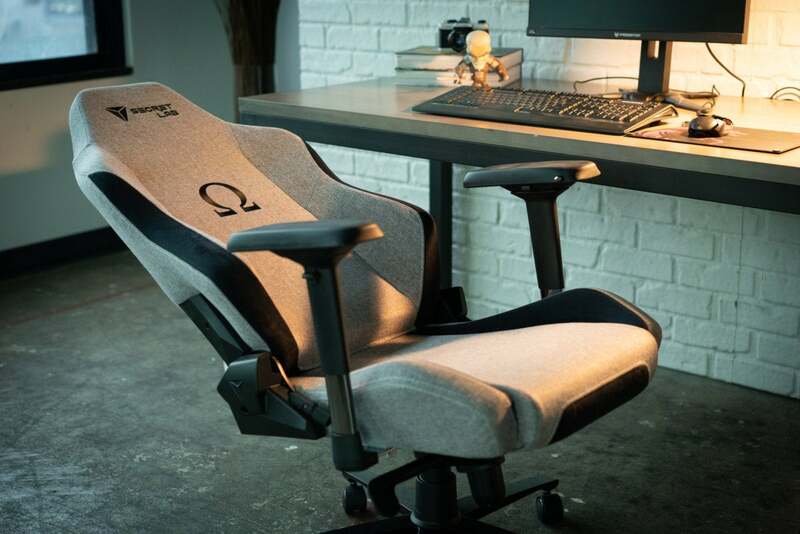 But for those who can’t, the Omega comes with separate cushions for both the lumbar support and headrest. Both are made from memory foam and covered with dark, soft velour. They feel so plushy that you can almost hear them apologizing for the rigidness of their companion chair. I wonder what an Secretlab Alpha would look like. The headrest cushion is the more useful of the two, as it comes with an elastic strap that neatly wraps around the top of the seat. The lumbar support feels nice enough against my lower back, but it has no strap, which means there’s no way to secure it. It might as well be a throw pillow I borrowed from the couch. Neither is height-adjustable. They were both welcome options when I wanted to relax after a rough day, but by the end of the first week I’d stashed the lumbar support beneath my desk. This is roughly where the strap stays. You can’t adjust it. If you’re too tall or too short, you may not find the head cushion useful at all. Frankly, it takes longer to adjust to the stock-car aesthetic. The Omega’s design doesn’t clobber your senses with neon and spiky typefaces as some of its rivals do, but it still shouts its desire to be cool when you first see it from across a room. A 6.5-inch logo screams on both sides of the headrest. A little lower on the back, the word Omega sprawls in black. Flip it over to the front, and you’ll find a four-inch-tall Omega symbol asserting its dominance over the middle, resulting in a chair that looks like it rolled out of the lair of an Athenian supervillain. And yes, if you didn’t get the cookies and cream version, you’d be seeing all these logos in bright blue neon against a charcoal backdrop. If you like to keep a low profile, this isn’t the chair for you. It’s a bit tacky for a chair that’s otherwise striving for elegance—like a billboard tacked on the outside walls of the Louvre. 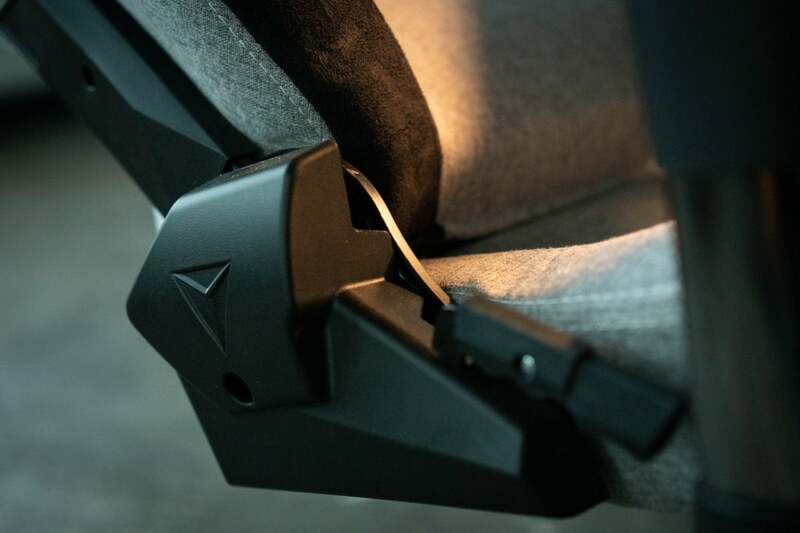 I’m more of a fan of the subtler touches, like the all-but-invisible Secretlab triangles stamped into the extremities of the armrest and the hinges. I wish they were in greater abundance. You can’t even order the Omega without the stitched logos, which is a teensy bit surprising considering the range of customization at hand. 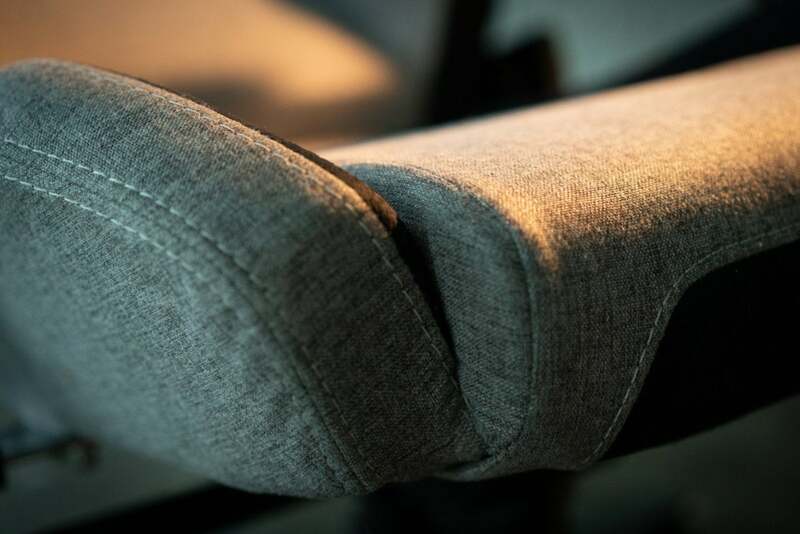 We’ve already seen that it comes in two colors and comes with optional pillows, but there’s also an impressive range of adjustments built into the chair itself. There’s the expected stuff: You can adjust the height to a considerable degree, and you can tilt the seat to a more comfortable angle. Beyond that, I could pull up the armrests so they held my forearms at the same height of the keyboard, and I could extend them so they reached most of the way to the keyboard itself. Impressively, I could even extend them outward or inward. Some fabric on the armrests would have been nice, but it’s not a deal-breaker. But I was most impressed by how far back the Omega can lean. Fully reclined at 165 degrees, I can stare straight into the fluorescent lights above me (which, truth be told, triggers some unwelcome flashbacks of dentists' offices). If I tilt the base of the seat back, I can almost lie flat. Remarkably, the weight in the base of the chair kept me from worrying too much that I’d tumble over at such extremes—although I might have thought differently if I were taller. The Omega is made for mid-range bodies, and I’m 5 feet, 8 inches. Some of the taller folks in the office clearly looked like they needed the larger Titan model. I guess this would be great if people like to watch you snooze on your Twitch stream. Still, that balance helps establish the Omega as a minor marvel of engineering, and I already suspected as much when I saw the box it came in. The Omega stands almost 52 inches at its full height, but it comes in a box that’s only 32 inches across and 15 inches tall. Any engineers who could figure out how to pack everything above into a relatively compact box, I figured, probably knew what they were doing with the design of the actual chair. So far, I remain a believer. It’s too bad, then, that was I was also right in my assumption that the Softweave fabric wouldn’t fare well in a battle with the munchies. The Omega still looks new after a couple of weeks of constant use, but late last week I dropped a chocolate chip from a cookie and my leg smeared the chip across the Softweave. A faint ghost of it remains to this day, even after I followed the instructions on the gigantic care and assembly poster that comes in that divinely packed box. The stain in question. Hardly the end of the world. I’d probably still choose the Omega Softweave, though, if I had to choose between it and its faux-leather cousins. The only catch is that I never saw the fabric tested against the claws of curious cats, but I admire the comfort and silence the Softweave delivers. This is normally how I use it. The headrest leans in enough without the cushion for comfort. 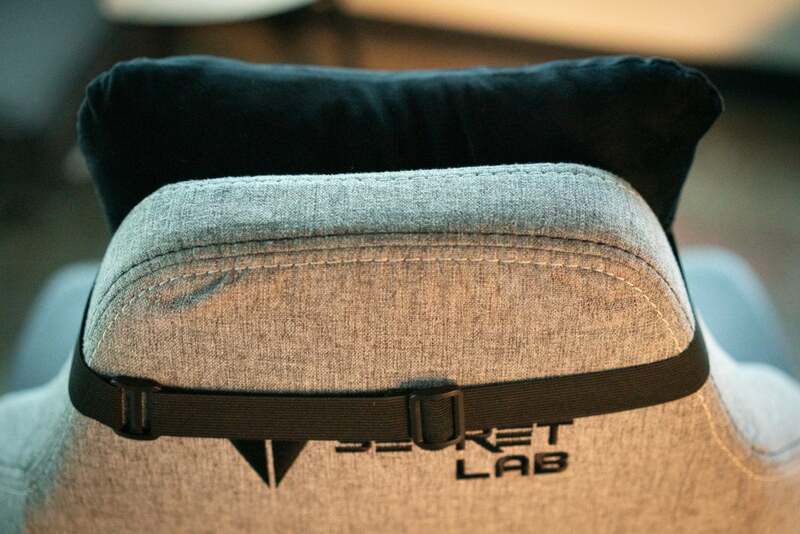 For better or worse, the Secretlab Omega Softweave is a chair that has to grow on you. It’s comfortable, but that comfort manifests itself in different ways from its comparatively pillowy competition. The short-yarn fabric goes a long way toward making up for the stiffness, and the many adjustments let you sculpt it into an ideal chair for your needs (so long as you’re not too tall, and in that case you’ll want the Titan). I’d personally love to have it without the fairly garish logos, but even with them, I could consider this $350 well spent. 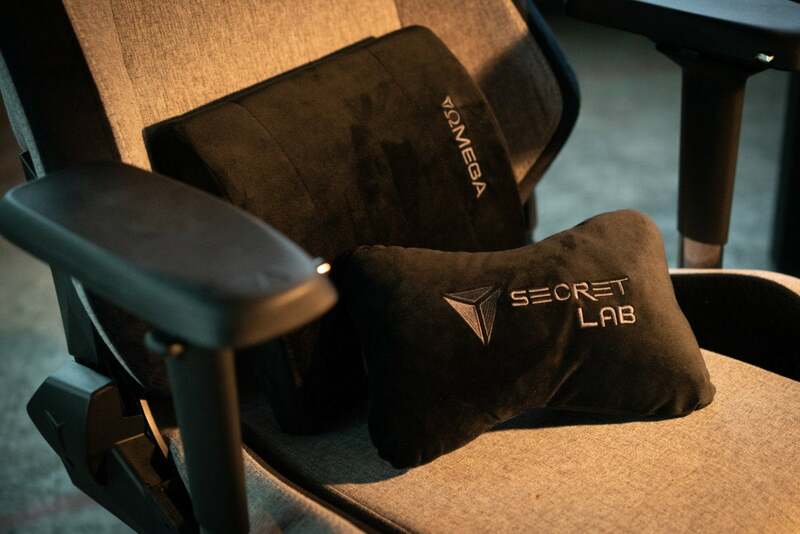 This story, "Secretlab Omega Softweave gaming chair: Firmly comfortable" was originally published by PCWorld. 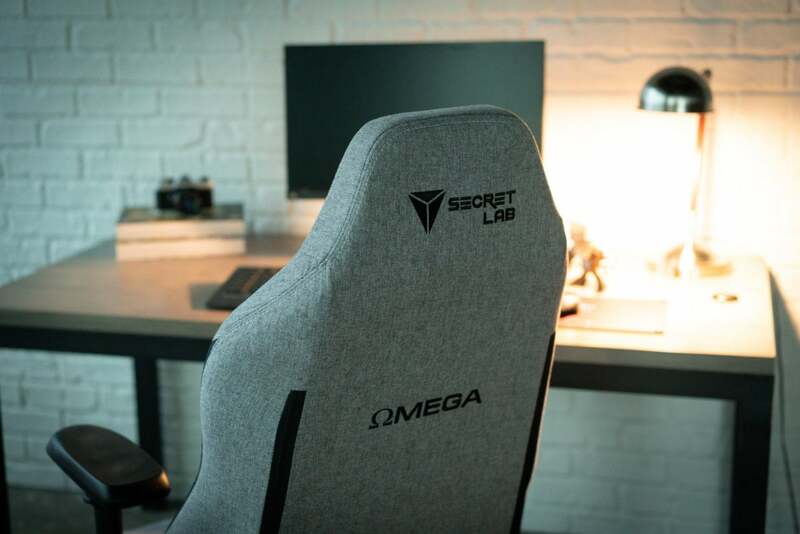 The Secretlab Omega Softweave's short-yarn fabric goes a long way toward making up for the stiffness, and the many adjustments let you sculpt it into an ideal chair for your needs. Even with the garish logos, it's money well spent.